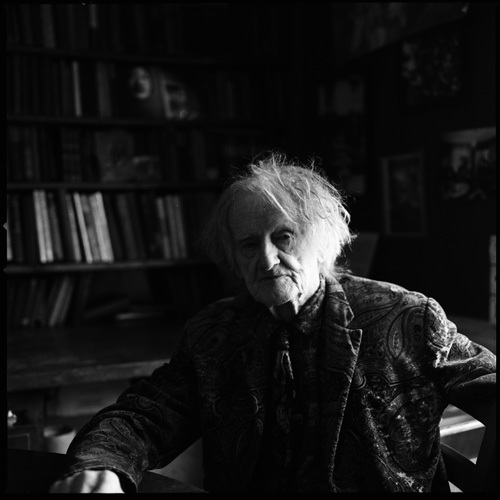 I’ve just read that George Whitman, the Paris-based American owner of Shakespeare and Co, has died aged 98. I met George when I was 18 and a recently arrived backpacker in the city in the late 80s. It was 10:30am, he gave me a glass of whiskey and told me about knowing Henry Miller back in the day, and Samuel Beckett – who was still alive. It was my first taste of the expat bohemian life – and I shall always be in his debt for this introduction. The shop has been run by his daughter, Sylvia, for some years and still reflects George’s generous and bohemian spirit. If you are in Paris, be sure to call in. Thanks for the moment, GW! Shine on above the Seine. This entry was posted on Saturday, December 17th, 2011 at 18:24	and tagged with artists, Beckett, bohemian, books, George Whitman, Henry Miller, Paris, RIP, shakespeare and co and posted in Uncategorized, Writing. You can follow any responses to this entry through the RSS 2.0 feed. « Shellakybooky First Past the Post!!!! What a wonderful experience you had, Sue. Thanks for sharing! Sometimes chance meetings leave indelible marks on our souls. Cherish the memory, Sue, and may his spirit continue to guide the shop. Thanks, Holly, that’s very kind of you. I tend not to go in for those ‘pass it on’ type awards – but I really appreciate the gesture and it was lovely of your to nominate me. I’m glad you find the advice useful. I had the opportunity last spring to visit Shakespeare & Co. and my only regret is that I could not stay longer. Seven days in London was NOT enough. Thanks for following my Sisters who pick the rose, blog. I am at a loss with my next chapter – I really thought (at my age) I would be ready to write for ME – gotta get over the chasm between fiction and truth. I say this to explain my tardiness in posting ch. 5. NOT LONDON – Paris – 7 days – not enough. My first time out of the States and everything runs together in memory – bad sign for a writer. Apologies to Whitman, the Bard and you.